Every day, NC State faculty are finding innovative ways to tackle society’s grand challenges, such as examining the effects of GenX pollution on North Carolina’s coast, developing drug-delivery systems for rapid response to heart attacks and helping food banks feed more people and reduce food waste. Their extraordinary work is earning worldwide notice across a broad array of disciplines. 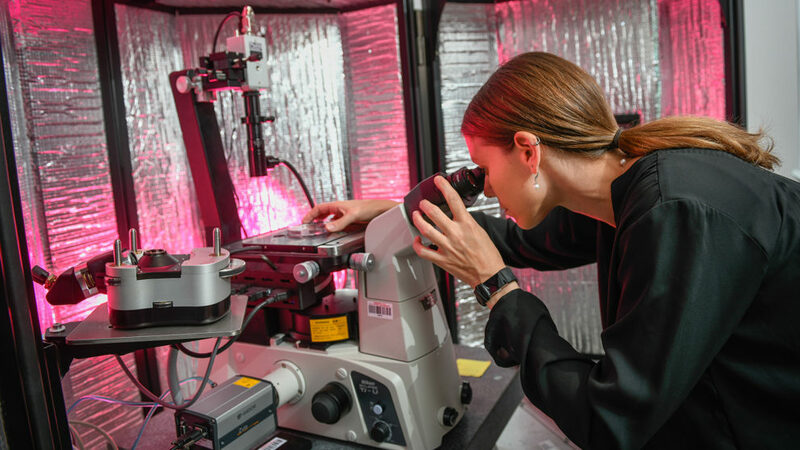 Our faculty are frequent winners of National Science Foundation Early Career Awards and Fulbright Scholar Awards, and the past year saw NC State faculty inducted into the National Academy of Sciences and the National Academy of Inventors. Most importantly, they’re making a difference in local communities near and far — and they’re teaching a new generation of students to do the same. 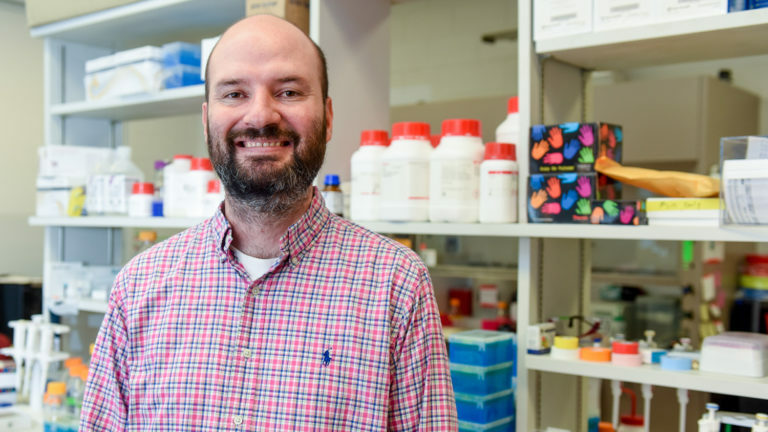 College of Sciences toxicologist Michael Bereman is working to end a deadly disease that affects tens of thousands of Americans — including himself. Bereman was diagnosed with amyotrophic lateral sclerosis three years ago. Now, his research into neurotoxins in cyanobacteria, which is found in many bodies of water, is yielding promising insights into possible causes and cures for this and other neurodegenerative diseases. Design and agriculture faculty are working to help the low-lying North Carolina town of Princeville recover from devastation it suffered during 2016’s Hurricane Matthew. These experts played a key role in a community workshop exploring how to help the town better endure future flooding. 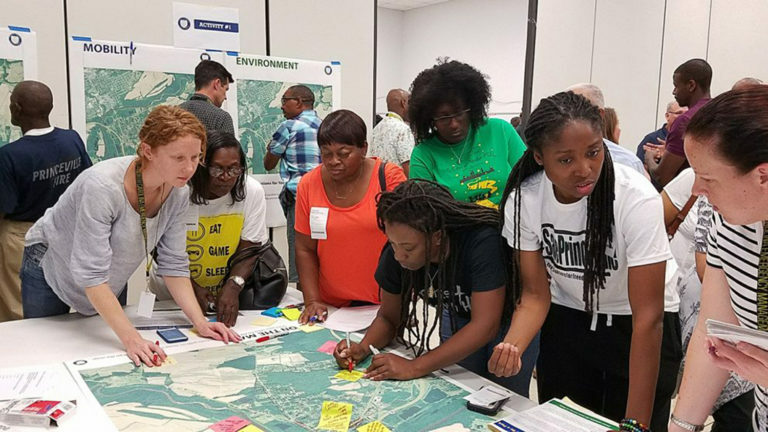 Alongside community members and NC State students, they’re developing and refining plans that will guide Princeville toward a safer, more prosperous future.